The new anthem of Royal Challengers Bangalore is a must watch if you are a die hard fan of the franchise. The new video features Indian captain Virat Kohli and South African superstar AB de Villiers. The rest of the team can also be seen in the video. 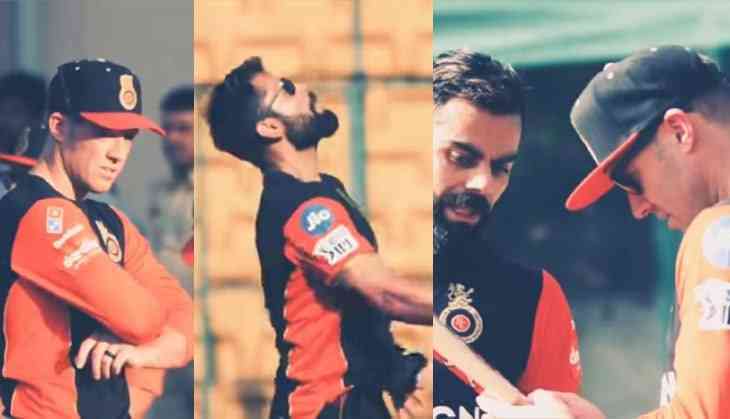 Virat Kohli will lead his team yet again and will try to win the first title for RCB. The dates for 2019 edition of Indian Premier League has been announced by the organisers. Defending champions Chennai Super Kings will play Virat Kohli-led Royal Challengers Bangalore in the opener on March 23 in Chennai’s Chepauk Stadium. However, the dates announced are only for first seventeen matches, where each team will play a minimum of 4 matches each while Delhi and Bangalore will play five matches. Every team will play two away and two home matches with Delhi playing three home matches and Bangalore playing three away games.